Hey Y’all! Welcome to Meal Plan Monday #77, full of delicious recipes to inspire your week ahead. Each week, food bloggers come together to share their recipes here for all to enjoy. Visit your favorite recipes to print, pin, share and bring your family to the table for a home cooked meal. Let’s take a look at our featured recipes that caught your attention last week as well as the new line up. Ready? Here we go! 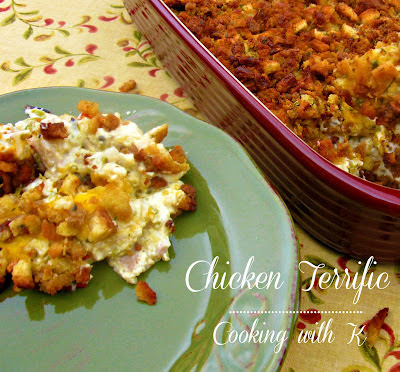 Chicken Terrific from Cooking with K took the top spot last week. A comforting casserole meal sure to please the entire family. How about some meat and potatoes? 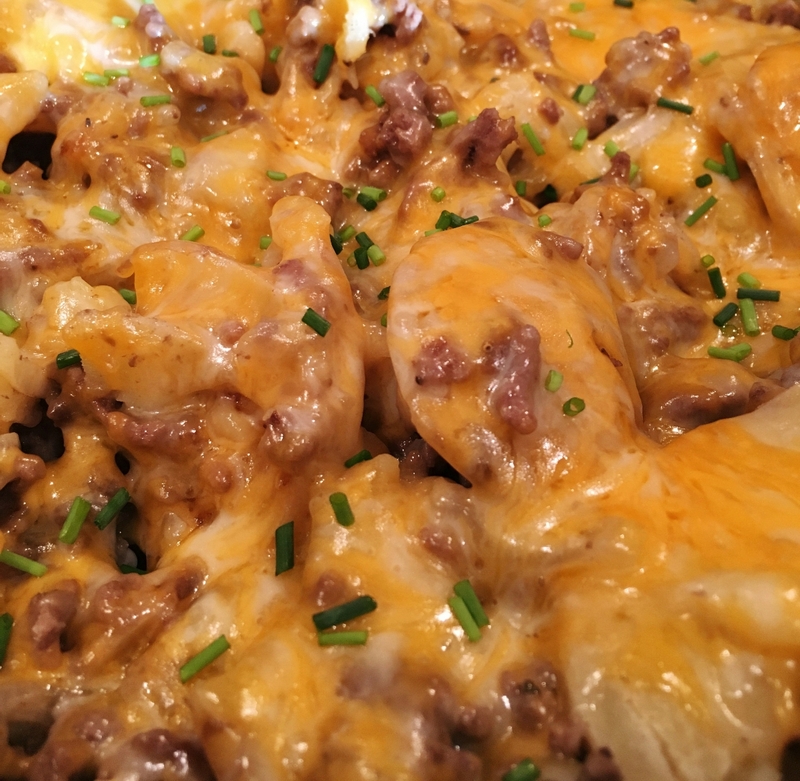 It seems to have been on everyone’s mind with this Country Hamburger Skillet Dinner from Norine’s Nest Prepare this meal with ingredients you probably already have on hand in your pantry. 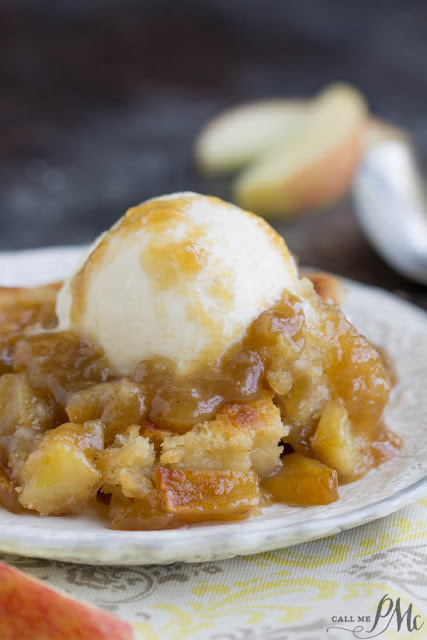 Time to satisfy the sweet tooth and this Best Caramel Apple Cobbler from Call Me PMC should do the trick! This recipe comes just in time as apple picking season starts soon. 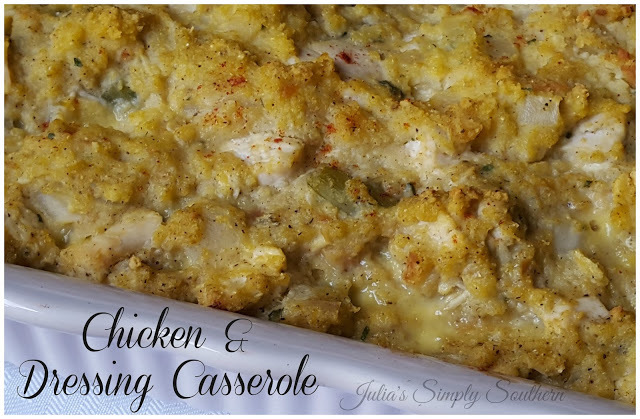 Chicken and Dressing Casserole from Julia’s Simply Southern a comforting classic leaves us with thoughts of the upcoming autumn season in a meal to be enjoyed anytime of the year.